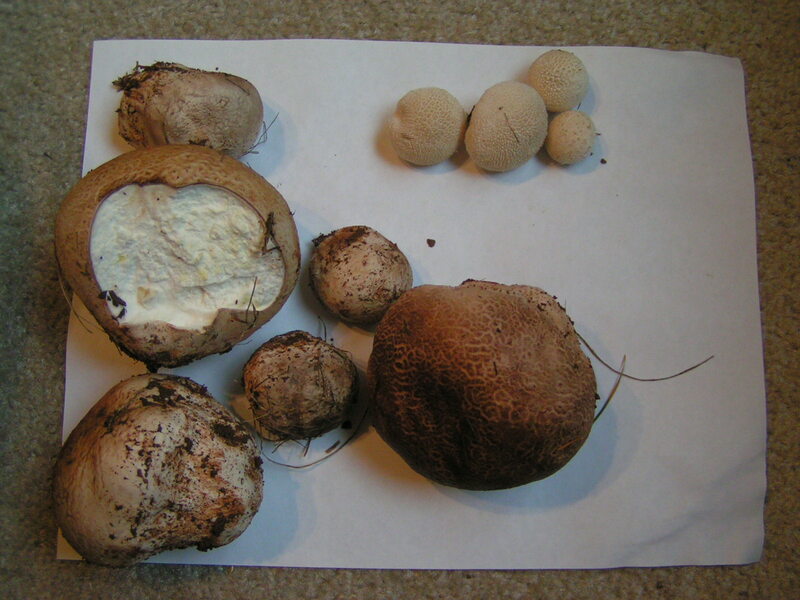 Certainly Calvatia most likely C. cyanthiformis, but all samples were far too fresh to get any spores. 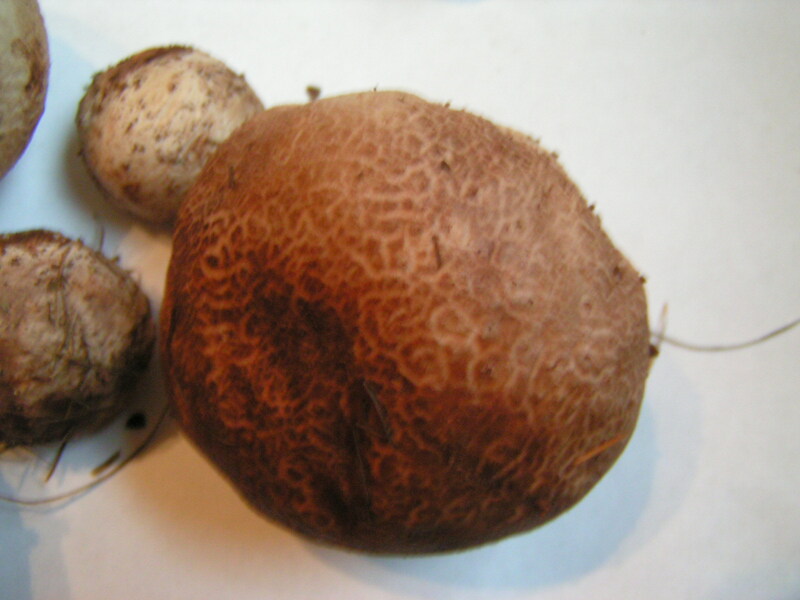 Luckily it won’t matter to me as all Calvatia are tasty and good to eat. 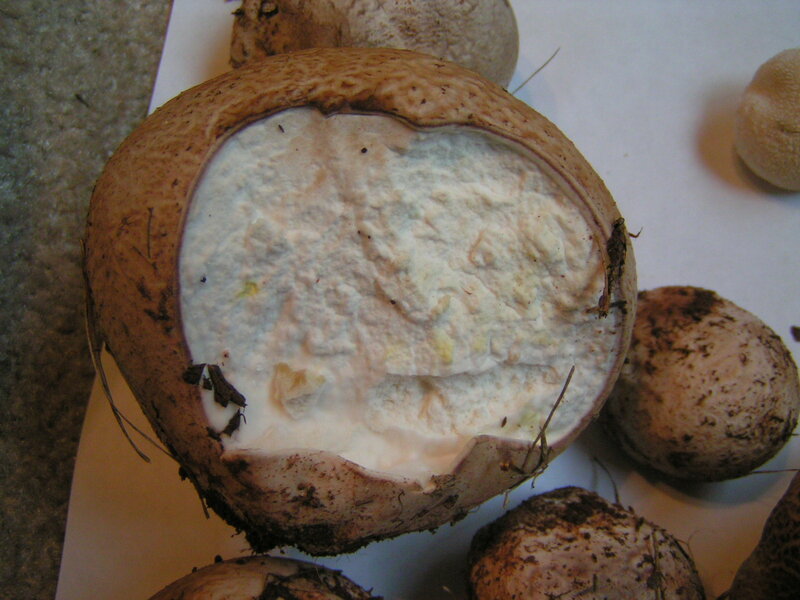 One of them we found cracked open, exposing its white flesh (probably a deer stepped on it) but it exhibited something fascinating by trying to heal itself closer to its base.